I wrote this program(in 2003) because I needed a versatile source viewer and source code editor with syntax highlighting and basic text manipulation functions. As of 2014 I still use nPad2 daily for viewing multiple files on Windows 7/8 while for editing I may use other editors/IDEs. 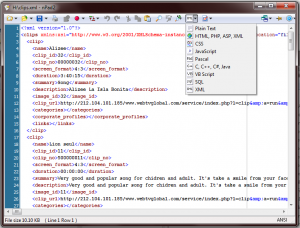 This program offers basically the same functionality as ConText, JediEdit, UltraEdit etc. but for a single file and does it much faster. nPad2 outperforms any of it’s competitors when it comes to browsing huge codebases(2000+ files), editing multiple files simultaneously (20+ files) and editing of large files (I’ve edited 300MB SQL files with it with no problem at all). I have huge codebase of projects and quick access to this code is essential. Combined with windows explorer and a search program(mine to be released) nPad works great. nPad2 uses multiple application windows(SDI as opposed to MDI), which allows you to use the taskbar(with grouping if you prefer) instead of some clumsy tabs, but still uses single instance of the program for better memory efficiency. Another good use of nPad2 is notepad replacement and file open command handler. This is perfect for tech oriented people looking through multiple configuration or source files. 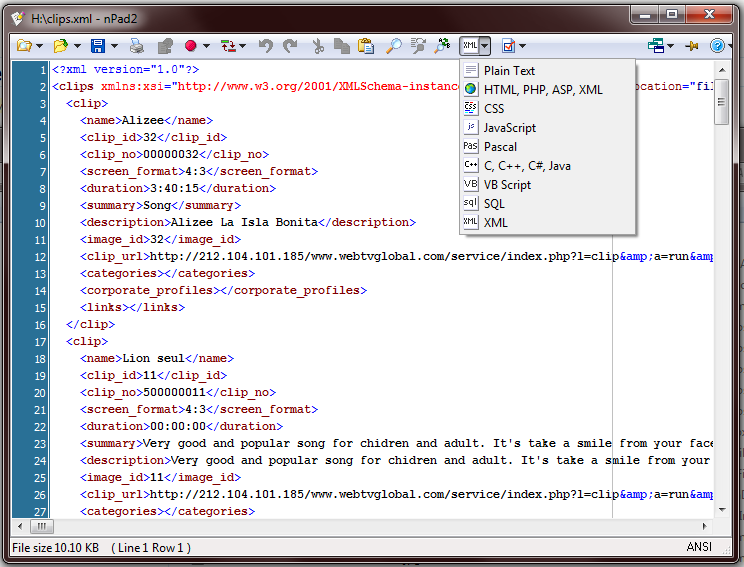 I use it to view and make quick editions in web scripts and to look trough my programs sources. How to download your software? It seems great but simple Delphi based editor what I was looking for. I’ve added download links to popular download websites that do have nPad2 published in them.